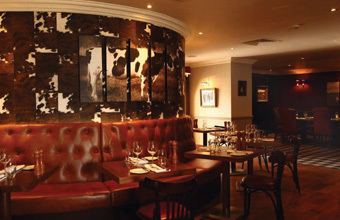 THE popular Scottish Steak Club restaurant within Macdonald Inchyra Hotel and Spa by Polmont has been awarded its first AA rosette. The milestone marks a significant achievement for the up and coming venue, which is led by executive chef Callum Dow. Callum said: "We're exceptionally pleased to have been awarded our first AA rosette. The team have been working incredibly hard to offer guests an outstanding dining experience. To have reached this goal is a real thrill."